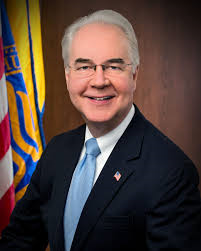 You are currently browsing the archives for the Tom Price category. If there’s anything more disheartening than the Democrats’ dishonesty about the Anything But Affordable Care Act, I can’t find it. Elizabeth Warren’s op-ed is the latest in a lengthy list of dishonest anti-Republican diatribes. It must be nice to be able to outright lie and never worry that the Corrupt Media will expose you as a liar. 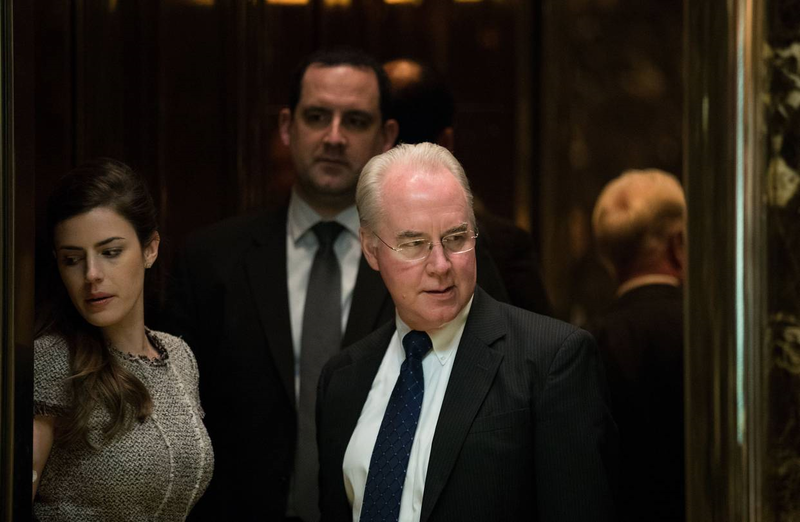 The man who will soon be the US HHS Secretary, Tom Price, has introduced the Empowering Patients First Act “in the 111th, 112th and 113th Congresses.” Sen. Pocahontas can criticize Dr. Price’s plan. That’s fair game. She can’t say it doesn’t exist. That’s lying, which isn’t tolerated at LFR. Many Massachusetts families are watching this play out, worried about what will happen, including thousands from across the Commonwealth that I joined at Faneuil Hall on Sunday to rally in support of the ACA. Hospitals and insurers are watching too, concerned that repealing the ACA will create chaos in the health insurance market and send costs spiraling out of control. It’s frightening to think that a US senator is either too blind to see that health insurance premium prices are already spiraling out of control or too dishonest to admit that the ACA, aka Obamacare, has caused health insurance premiums and deductibles to skyrocket. Why won’t Sen. Pocahontas admit that “Alabama, Alaska, Oklahoma, South Carolina and Wyoming will have only one insurance company offering plans through the Obamacare health insurance exchange in 2017, according to an analysis by the Kaiser Family Foundation”? Sen. Warren said that the Republicans’ plan is “repeal and run”, which is catchy. Meanwhile, the Democrats’ plan for passing the ACA was to hide the product until the final product was voted on. Does Sen. Pocahontas remember this infamous quote? I don’t have a clever slogan for the Democrats’ strategy. I’m just left with the responsibility of telling people how Democrats ignored them while shoving terrible legislation down our throats. Democrats to commit political suicide? It isn’t that these Democrats can stop President-Elect Trump’s cabinet nominees from becoming President Trump’s cabinet secretaries. The Democrats blew that up when Harry Reid was stupid enough to exercise the nuclear option on appointments. 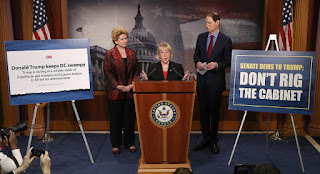 The minute Senate Democrats start with these tactics, rest assured that that’s the minute that President Trump schedules a trip to Missouri, Montana, Florida, Indiana, Wisconsin, North Dakota, West Virginia and Ohio. Visits to those states will be to remind voters that their Democratic senators aren’t standing up to their obstructionist leadership. Those visits will remind people that these marshmallows aren’t part of the solution. They’re part of the toxic environment in DC that Trump’s trying to clean up. Don’t be surprised if Republicans don’t utilize that quote from Sherrod Brown against him during his 2018 re-election campaign. It’d make him look petty. One of Candidate Trump’s campaign themes was ‘Drain the swamp’. If Democrats play sore losers, which they’re apparently planning, it might be appropriate for Republicans to run on draining the Senate Democrats’ swamp in 2018.